The US Air Force has revealed Boeing as the winner of one of its most hotly contested procurement competitions in years — the T-X trainer. Initially, this will call for 350 new jets to replace the T-38C Talon in the Specialized Undergraduate Pilot Training (SUPT) phases. The USAF launched T-X on December 30, 2016, when it released its formal request for proposals (RFP) for the Advanced Pilot Training (APT) requirement. Planned procurement includes as many as 350 new trainers and could be worth as much as $16.3 billion to the winning team. The USAF had been expected to select a winner of the T-X competition in 2017 (later slipped to July, and then September, of this year). The aircraft is expected to enter service no later than Fiscal Year 2024. According to AETC, the period of operation for the T-X is 2026 to 2045, and the aircraft is set to fly 360 hours a year, at a mission readiness rate of at least 80 per cent. Initial reports suggest that while the total value of the program was expected to reach up to $16 billion, the Boeing proposal came in well under budget at $9.2 billion. Three significant performance characteristics stood out among over 100 points in the initial March 2015 requirements list: a sustained turn rate of a minimum of 6.5g, simulator visual acuity and performance, plus aircraft sustainment. That minimum sustained G requirement was set at 6.5g but with an aspiration to hit 7.5g — this is considered sufficient to ensure students can operate at 9g in a front-line fighter. The future was also very much in mind as the requirement called for embedded training with synthetic sensors and a datalink. Other capabilities include the need for in-flight refueling (the aircraft must be at least adaptable to being fitted with an aerial refueling kit but built-in capability is preferred), a 10 per cent reduction in fuel usage over the T-38, and a minimum of being able to take off using 8,000ft of runway, plus a dry crosswind performance of 25kt and wet runway performance of 20kt. Both cockpits are to have identical displays and controls, and the aircraft is to feature terrain and collision avoidance equipment. 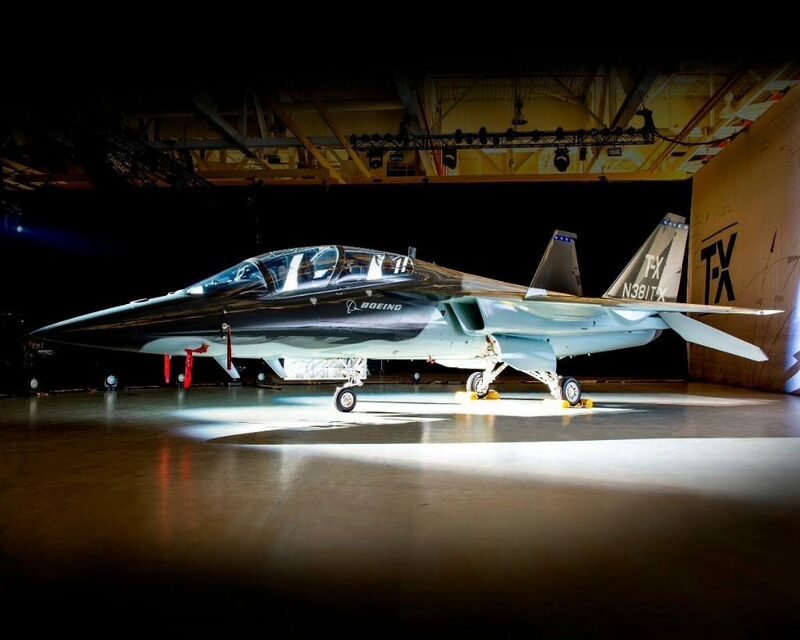 The T-X will also feature the ‘switchology’ for simulated release of both air-to-air and air-to-ground weapons, and be able to carry a weapon systems support pod and a travel pod. The cockpits will also feature wide-area displays, as per the F-35, and be compatible with NVGs. The initial engineering and manufacturing development (EMD) phase will include five test aircraft and optional production lots provide for the procurement of 350 trainers in 11 annual batches. Two low-rate initial lots will be followed by nine full-rate lots and production could reach 37 aircraft annually. This is the first major acquisition program to come under the USAF’s so-called ‘Bending the Cost Curve’ initiative and the USAF has made no secret of the need to build affordability into acquisition processes. When the T-X acquisition process started in 2010, it seemed that the USAF would favor a fair price over performance, however, as the stringent requirements were set out it was clear that the winner would need to offer both. The competitors rushed to offer off-the-shelf designs, and at that stage only Boeing was saying it was going to pitch a new, ‘clean-sheet’ design, which it believed from the outset would be the only way to meet the exacting requirements set out by the Air Force. Contractor teams led by Boeing, Lockheed Martin, Northrop Grumman and Raytheon were expected to respond to the RFP. 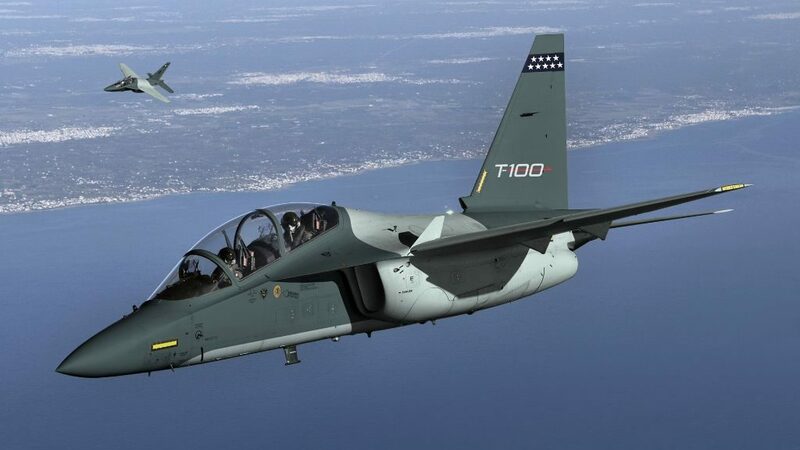 Raytheon dramatically exited the competition in January 2017 and it was unclear if former-partner Leonardo would continue to offer its T-100 aircraft, based on the M-346 Master. In the event, it joined forces with DRS Technologies and pressed on. 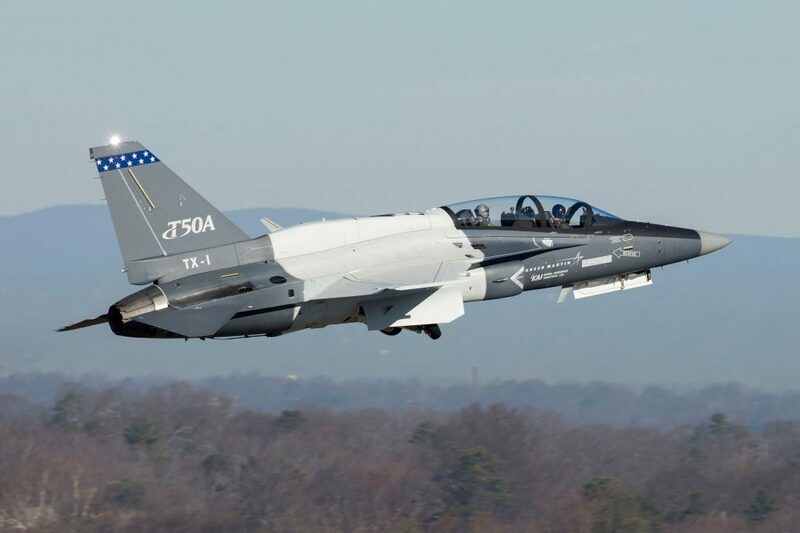 Boeing entered its brand new T-X BTX aircraft, of which two prototypes were built, and Lockheed Martin entered its T-50A, based on the joint-Korean T-50 Golden Eagle. Sierra Nevada and Turkish Aerospace Industries (TAI) were also potential bidders, but neither followed that through. Northrop Grumman exited the contest without responding to the RFP despite having built and flown a new ‘clean-sheet’ aircraft. 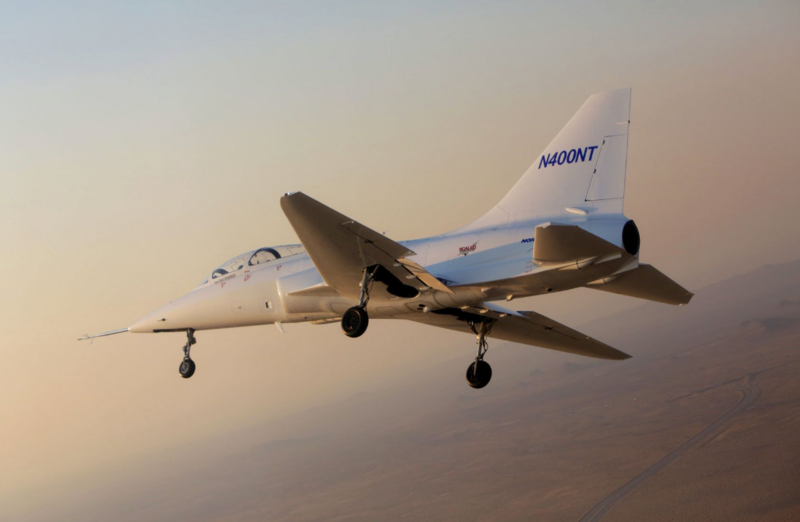 Having remained totally silent on its T-X design despite flight test activity at Mojave, California, Northrop Grumman CEO Wes Bush told reporters the company chose not to bid on T-X. The news came as a huge surprise given the investment in a new Scaled Composites-designed aircraft after it had already walked away from the BAE Systems Hawk. The news sparked suggestions that both Raytheon and Northrop Grumman were running away from T-X over cost concerns. 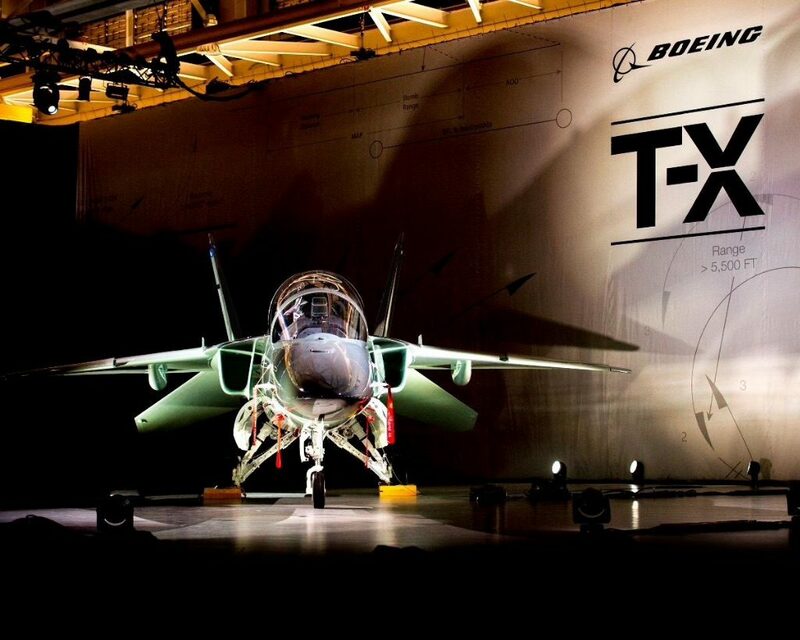 Profit margins for aerospace companies have come under increasing scrutiny under the President Trump administration, and T-X became focused both on exacting performance and stringent cost control. Raytheon’s inability to agree terms with Leonardo on the T-100 offering reportedly led to the partnership being dissolved. General Dynamics had also walked away from the T-100. The fact that two prime contractors broke away from the T-100 led to speculation that pricing was a sticking point. Many saw the T-100 as a leading contender for T-X. It has secured a number of customers and has demonstrated excellent live-virtual embedded training qualities. However, the USAF was not simply evaluating cost and performance, risk was also a major factor and the USAF says it will offer monetary credits for proposals that offer performance over and above the basic parameters. Some have criticised the fact that the rewards for performance have been skewed to flying qualities rather than synthetic training solutions — the lowest risk here appeared to favor the T-100. Ultimately, the USAF’s acquisition approach was designed to allow fairness between the ‘clean-sheet’ and off-the-shelf solutions. Both Lockheed Martin and Boeing have built and flown a pair of T-X prototypes on company money. They have invested significant funds in T-X, which has ultimately delivered test aircraft that have flown in the US and proved themselves against the performance requirements. The T-100 capability has been tested at Leonardo’s Venegono facility in Italy. Having demonstrated their flying qualities, which were submitted as part of the RFP, these figures will have been factored into the performance element of the equation. Risk can be measured in various ways, indeed, despite being a brand new aircraft, Boeing and partner Saab say their aircraft represents the lowest risk solution. That’s because they say that they have an aircraft that has been built to exactly meet the customer’s requirements. They also say that by leveraging Saab’s expertise in lean manufacturing techniques, they can deliver the new aircraft at a very competitive price. In 2010, Chris Chadwick, President of Boeing Military Aircraft said that an all-new aircraft would be the ‘favored aircraft’ for T-X. He commented that he didn’t see the current options (M-346, T-50 and Hawk at that time) as ‘natural T-38 successors’, adding that modifications required to bring these aircraft up to USAF specifications may mean new designs were better suited. Saab made efforts to point out that the new aircraft is (contrary to recent speculation) not a Gripen, not even a stripped-down Gripen — it is an all-new design. Boeing was keen to exploit Saab’s lean manufacturing know-how to develop the aircraft in an affordable and agile manner. The current economic climate in the USAF means that the aircraft will indeed need to be both affordable and able to meet the exact parameters required for T-X. The only reason for building a ‘clean sheet’ design is that it can be specifically tailored as a bespoke solution to meet USAF requirements. In retrospect, it may have been the only way to win. The Boeing/Saab offering features a twin-tail design, a large cockpit with what appears to have excellent visibility (dubbed ‘stadium seating’ by Boeing), plus a leading-edge root extension (LERX) similar to that found on the F/A-18 Hornet family. Boeing’s T-X has a single engine, the General Electric F404 afterburning turbofan also used in the Hornet. Boeing says the aircraft’s ‘fighter-like design’ and performance with the twin-tail design will ‘provide excellent control, inherent speed break functionality, and safer air refueling’. Darryl Davis, President of Boeing’s Phantom Works, said the aircraft was designed to meet all program requirements, and noted that it will offer high angle-of-attack (AoA) and high-g performance. ‘We can hit every one of the requirements’, Davis says. Boeing also stressed that the cockpit design offers ideal instructor positioning and visibility, both for flight instruction and for advanced visual air combat training. The Boeing T-X offering utilizes a modern, fighter-like cockpit with a reconfigurable large-area display (LAD) that mimics those found in the F-22 (although not a LAD) and F-35. Part of this, Davis said, was to allow the students to experience the level of avionics management and sensor integration required of current fifth-generation aircraft. The Boeing T-X is also compatible with night-vision goggles, something that the T-38 lacks. The Boeing T-X is provisioned for an internal in-flight refueling capability and it has a centerline hardpoint for carrying instrumentation pods. The wings are designed to add wing stations, if needed. The Boeing/Saab offering is not simply an aircraft, but a larger system that includes the trainer aircraft and a ground-based training and support program that provides ‘real-as-it gets’ simulation, interactive classroom lessons, computer-based training modules, adaptive training that adjusts to students’ needs, and a complete suite of instructor tools. With the main Boeing military combat aircraft production line at St Louis facing the end of F-15 Eagle and F/A-18E/F Super Hornet by the end of this decade, political pressure was on Boeing’ s side to maintain the capabilities in St Louis. Saab offers lean manufacturing techniques, which will undoubtedly drive down production costs for this project, in the face of having to start from scratch when it comes to certifying an all-new air vehicle. It will also be interesting to see how Boeing plans to offer high-end embedded synthetic training to complement the aircraft itself.